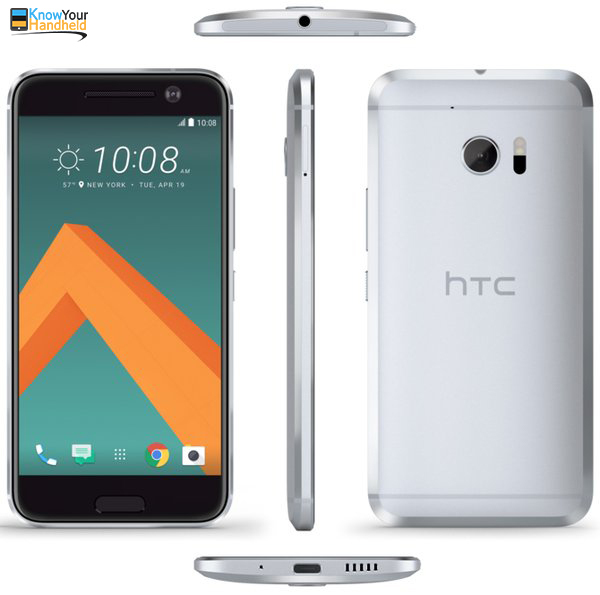 For some time now, the online world has been flooded with leaks and rumors about HTC‘s latest smartphone – the HTC 10. While nothing has officially been mentioned by the company itself, apart from the metal bezel it teased in an image, many websites claimed to know the detailed specifications and even the launch date of the device. Sadly, most of those rumors turned out to be fake, but it hasn’t stopped the rumors from flooding in on a daily basis. Today, again we find some new information about the device that comes with images, specifications and a launch date that could be one of the most realistic rumors we have seen to date. If you are familiar with HTC’s devices, you would know that most of them come with the usual “One” prefix name followed by a letter of the alphabet (for example, HTC One A9). The same was expected from the HTC One M9 successor and until quite recently, it was the unofficial name for the device. But, thanks to the latest mobile phone news, the teaser from HTC and a post from Evan Blass or @evleaks, the upcoming device will ditch the “One” and the “M” and will only come to be known as HTC 10. This was confirmed with the hashtag #powerof10 that was seen in the teaser form the company. Coming from another tipster, @Onleaks, the HTC 10 comes to life with some images that could quite easily be the final product being offered. It shows the device from various angles that exposes the chamfered edges of the all metal 10. On the front, there is a physical Home button which resembles the one found on the HTC One A9. On both sides of the button sit a single capacitive button for opening the muti-window option and the other for going back. On the back, the images reveal a camera that protrudes just a bit with a dual LED flash beside it. Staying on the back, we can see two antennas on the top and bottom of the panel. The headphone jack sits on the top of the device while the right side houses the power and volume buttons. On the bottom, a speaker grille, USB Type-C and a mic can be seen clearly. When it comes to new launch mobile phones, rumored specifications can sometimes lead us to believe things that are more fiction rather than fact and so is the case here. But according to @Onleaks, the prototype HTC 10 smartphone will come with a 5.15 inch Quad HD display and will be powered by a Qualcomm Snapdragon 820 processor (Qualcomm’s latest and greatest). It will be built with 4GB of RAM and also feature the same 12MP camera as seen on the Nexus 6P. As to when the HTC 10 might be announced, Evan Blass says that HTC could make the big announcement on the 19th of April, 2016. No confirmation has been made by the company yet though. The tipster also says that there will be a Windows variant of the device in the near future. What do you think of upcoming HTC 10? Do you feel that the rumors leaked and the images seen could in fact be the actual device? Let us know how you feel in the comments section below.